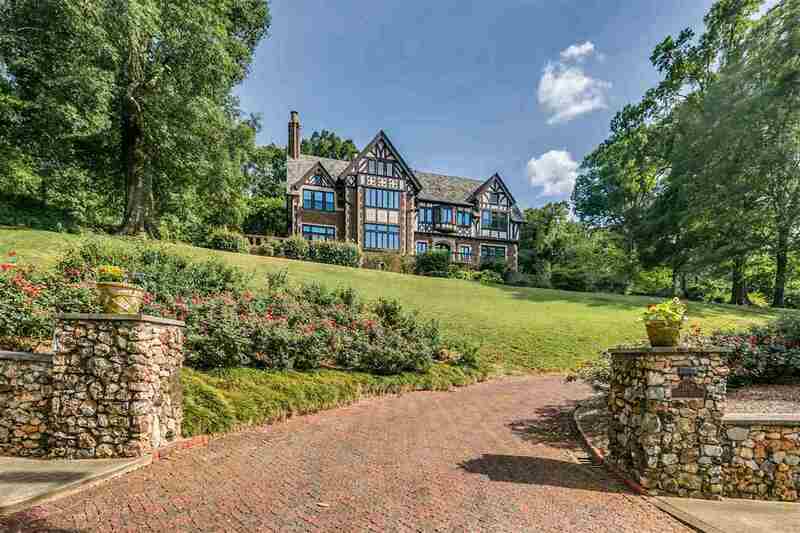 This grand English Tudor mansion is located in the historic and upscale Redmont Park neighborhood of Birmingham and has four or five bedrooms and four full bathrooms, powder room and half bath in the main house, and a garage apartment with a bedroom and a bathroom. It is perched on a commanding hilltop atop Red Mountain with stunning views of the City. The home was built in 1920 and has remained in the same family ever since. The owners have maintained the home's integrity to design and the original beauty has been lovingly maintained throughout the years with quality updates being made periodically giving it every amenity you can expect for luxurious living. This home is perfectly situated in an exclusive private setting on over an acre of property and is complemented by exquisite gardens, lush lawns and foliage, planting beds, cutting gardens, hardwood trees, brick walkways and much more. Don't miss a chance to own this fabulous home in a gorgeous setting and great location! Driving Directions: From Highland Ave, Go Up The Hill On Niazuma. House Is On The Right.